Twelve years ago... on January 30th, 2000... Kurt Warner threw for over four hundred yards and added on two touchdown passes to take home his first Super Bowl MVP award. At the time, I worked at a local card shop to supplement my income... and remember how suddenly this piece of cardboard became one of the most sought after cards in the hobby. 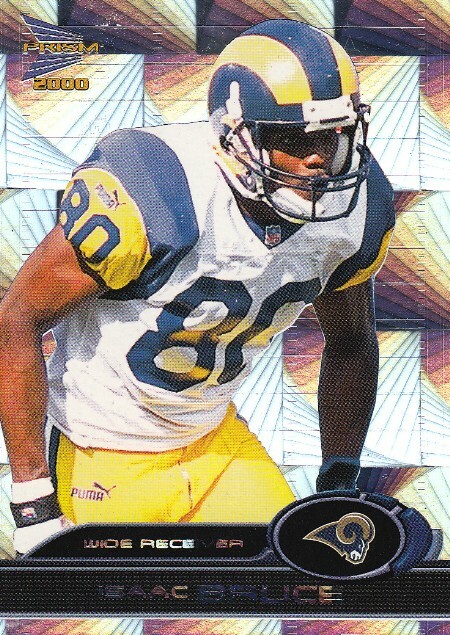 Warner went on to lead the Rams to two Super Bowls in three seasons (1999 & 2001)... as he became the field general to The Greatest Show on Turf. In 2008, he took the Arizona Cardinals to their first and only Super Bowl appearance. But what ever happened to the other guy? 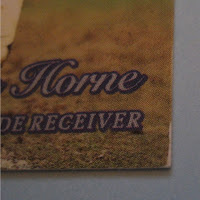 Tony Horne was developing into one of the game's elite returners and led the league in yards per kick return. Unfortunately he suffered a career ending knee injury which limited him to only three NFL seasons. According to Wikipedia, he currently works as a strength & speed coach for some company... but who knows how accurate this information is. 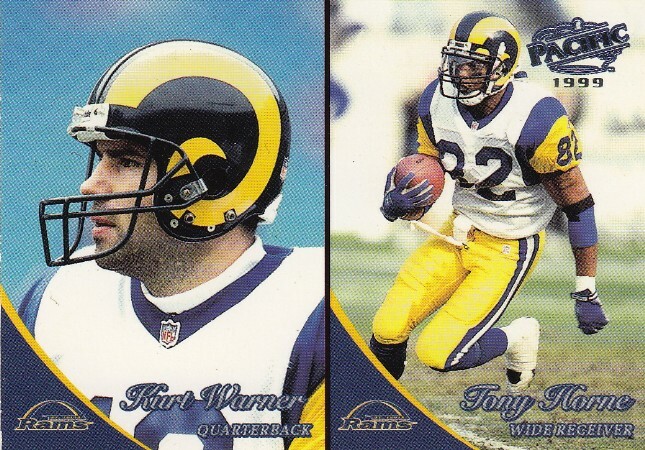 As of now... the 1999 Pacific #343 rookie card of Kurt Warner (& 2nd year card of Tony Horne) has sort of lost its lustre among collectors. Regardless... I thought I'd pull it out of my binder and let it see some daylight... while I tried to figure out who the heck Tony Horne was. Okay... time for y'all to debate on Kurt and the legacy he left on the gridiron. Do you think Warner deserves to be enshrined in the Football Hall of Fame? Whether or not Warner makes it into Canton will have little affect on the value of my particular copy... since it's pretty beat up. However in honor of Mr. Warner and his career accomplishments, I'd like to enshrine him into my personal Damaged Card Hall of Fame. As you can see... there's a crease directly under the "t" in "Kurt". Believe it or not... it's actually a lot worse in person, than in the picture. 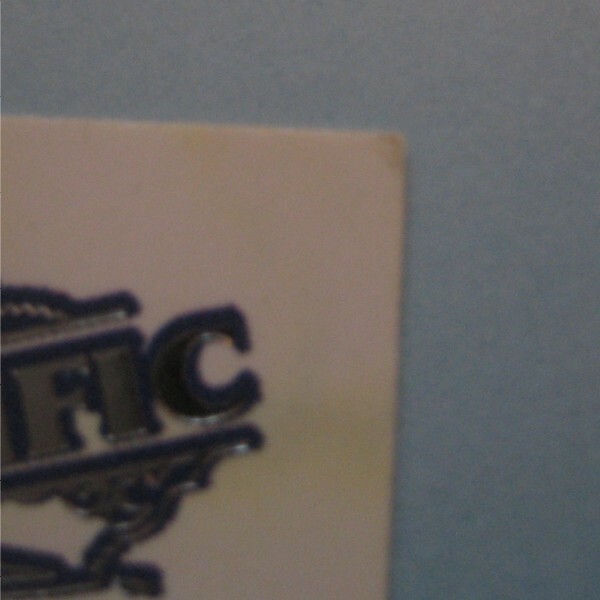 Plus there's a ton of chipping on the left and right edges. And to top it off... the upper right corner is dinged. 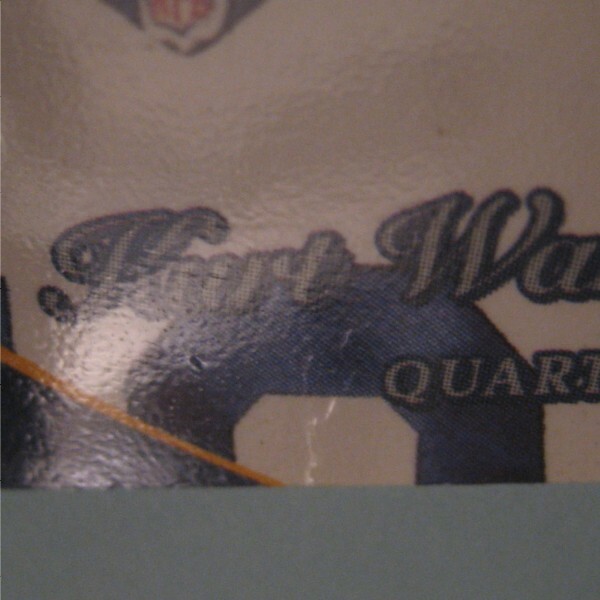 Congratulations Kurt... whether or not you make it into Canton... at least you can go to sleep knowing you're a HOFer in my (damaged card) book. Happy Monday everyone... and have a wonderful week! Sayonara. Earlier this month... I created several hobby goals for 2012. One of them was to create a cardboard budget and stick to it... so I decided on $150/month would be more than sufficient. There are still three days left in January... and I'm way over budget. I've been documenting ever purchase I've made down to the last penny, so I knew heading into Saturday's card show at Serramonte Mall that I had to keep my spending to a minimum. Which is why I only brought $40 to the show. At first... that was more than plenty. But by the end of the day, I had to take a trip down to the ATM... but in my opinion... it was worth every step. Let's get started. First stop... Max & his 10¢ bins. I spent about 45 minutes sifting through his boxes and ended up picking up forty cards. There weren't any huge finds this time... but I was able to add a couple of cards to 90's insert binders. Right next to Max's table were these guys selling figures. They had one small shoebox with toploaders marked 3 for $1. 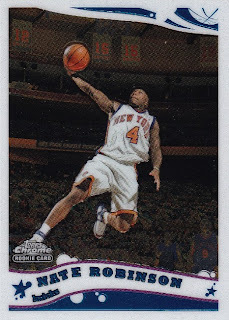 I was pretty stoked to find some cool Kobe inserts & rookies, along with some MJ baseball cards. 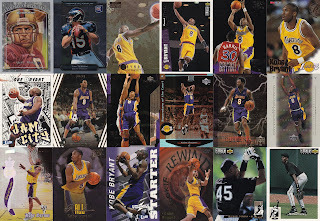 I didn't bother to show the other six cards, because they were duplicates of the Kobe rookie cards. Who in the world sells Kobe rookie cards for 33¢ each? This was one of those damn impulse buys. 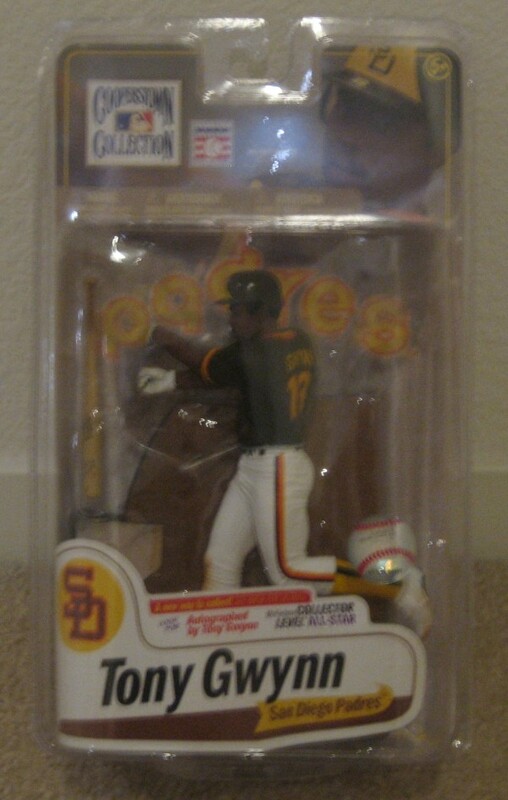 I already have this figure displayed on my Padres shelf. But for the price, I just couldn't pass it up. Actually this show had a bunch of toy dealers and there were tons of bargains to be had... but I resisted temptation. I've been wanting to add a LaDainian Tomlinson rookie card to my collection... and now I have two. I rarely look in people's display cases, but this guy had a sign advertising 5 cards for $10 on every card in the case. He had a bunch of cool, older WWE relic cards... so I jumped on those as well. My favorite is easily the Trish Stratus shiny dress card. Damn she's hot. By the time I strolled across this guy... I had three bucks in my pocket with no intention to spend anymore. He had vintage souvenir baseball helmets: the ones you could purchase from ball parks back in the 70's. 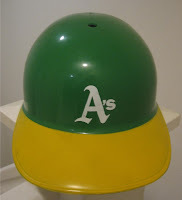 He wanted $20 for the Oakland A's helmet and proceeded to give me the rundown on their history. I actually remember these from when I was a kid. But what really caught my eye was a binder filled with Garbage Pail Kids from the 80's. 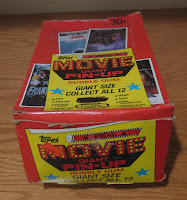 It contained 9 complete sets (Series 2 through Series 10). Actually, the Series 4 set is missing five cards but I'll talk about that in a future post. He wanted $100 for the binder... which I thought was reasonable. After some wheeling & dealing and a quick trip to the bank... we agreed on $90 for the pair. This is easily my favorite purchase of the show... so I'll post more about it later this week. After lunch, I made one more pass through the show and ran across the guy selling stuff next to me at the DeAnza Flea Market back in November. We talked for about 10 minutes while I sifted through his stuff. I'm a huge fan of rookie card refractors and McFadden is one of the best backs in the game (when he's healthy). The Couch/McNown dual autograph fits well in my Sports Card Bust PC. 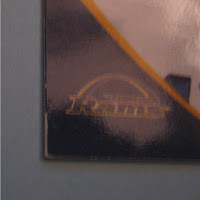 And the low numbered rookie parallel of Gramatica will look nice with the jersey card I showed off last week. I'm always looking to hear your feedback on my purchases. Which was your favorite? Least favorite? Remember... I'm a big boy... your opinions won't hurt my feelings. Personally... I sort of regret picking up the Gwynn McFarlane, since I don't really need two. Maybe I'll bring this one into my classroom. And I didn't have to think twice about my favorite. 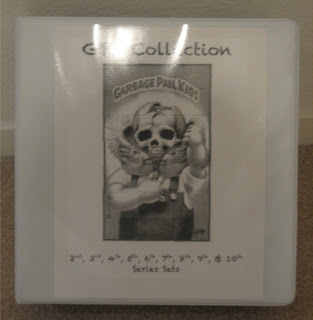 I'm stoked about the GPK binder. A purchase I'll remember for years. Well... I hope all of you had a great weekend. Enjoy the rest of your Sunday. Sayonara! 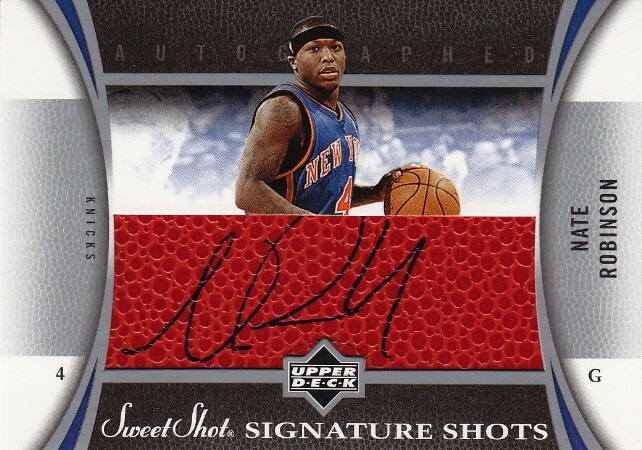 Outside of buying cases of 2008 UD Masterpieces Football, 2008-09 Topps Signature Basketball, and 2009-10 Bowman 48 Basketball... this is easily the most I've spent on cardboard in a single month since the 90's. I will not be doing this again anytime soon! 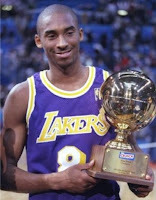 The Black Mamba won it once. Air Jordan did it twice. But... Nate Robinson has won the NBA Slam Dunk Contest a record three times. I'll be honest... 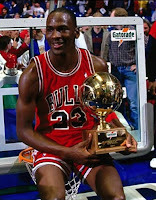 I've lost interest in the dunk contest over the years. These days... I'll wait until the next day and watch the highlights online. A. I live in the Bay Area and he's a Golden State Warrior. B. I played one season of organized basketball and was a PG. 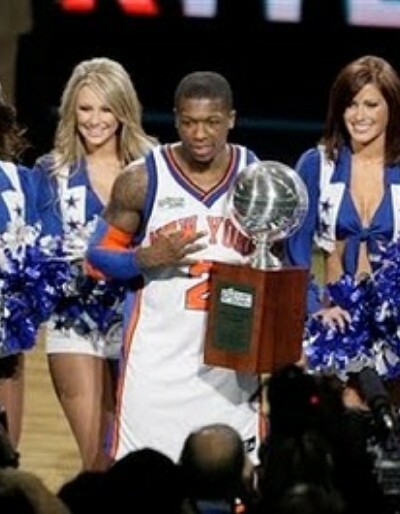 Nate's a point guard. 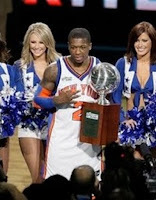 C. I'm short and he's currently the shortest player in the NBA. Okay... that's all I have left in the tank. It's been a long week and it's time for bed. Have a great weekend everyone... and sayonara! I just finished writing the post below & my brain is officially fried. This post starts off in one place and completely ends up in another, so I apologize in advance to those who get annoyed. Beckett lists this card at $10... but of course that doesn't mean anything... especially since I picked this copy for a whopping 10¢. Yep... 10 pennies. It's flippin' serial numbered to 75. Wow... cardboard "values" just aren't the same as they used to be. And neither are the words "scarce" or "rare". 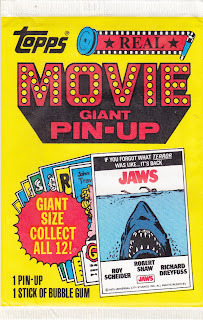 Wish I could find this card for 10¢! Do you remember back in 1990, when Pro Set randomly inserted 10,000 Lombardi Trophy holograms into their wax boxes? Ten thousand. A number in today's hobby that seems astronomic... but back then was considered "rare". Obviously, it's simply a case of "supply" vs. "demand". 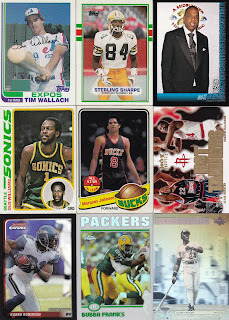 Back in the early 90's... there were 5... 10... maybe 20 times the amount of card collectors there are now. 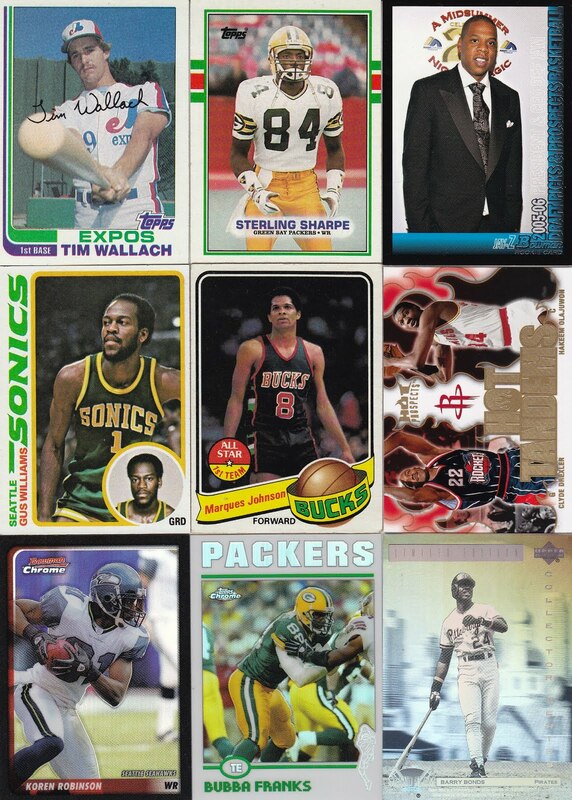 Collectors saw the values of '81 Topps Montana rookies soaring though the roof and figured their Dan McGwire rookies would do the same... and so the card market boomed. Then the walls came tumbling down. Maybe too many collectors got burned and have walked away from the hobby. Maybe kids these days would rather play Modern Warfare 3 or hang out on Facebook, instead of busting packs. Either way, the number of collectors in the hobby is nowhere near what it once was. In other words, "demand" has dropped... which means "values" have also fallen too. 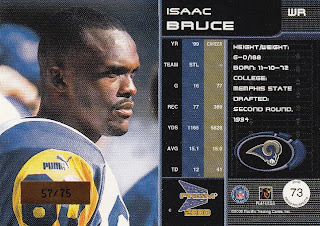 I recently saw a one of a kind printing plate of Isaac Bruce sell on eBay for $1.76 (free shipping). Insane right? It's impossible to get any rarer than this. And it's not like Isaac Bruce is a common. He has the 7th most receptions in NFL history and the 3rd most receiving yards. On top of that... he has 91 receiving touchdowns... which ranks him 10th all-time. 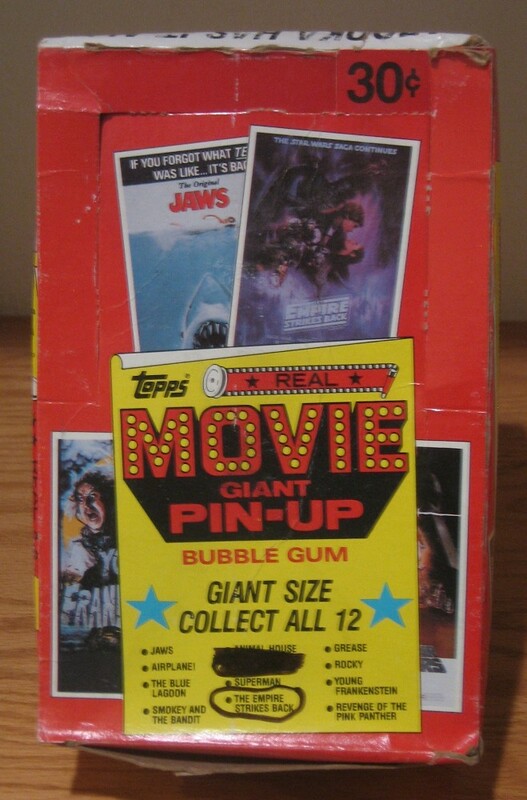 It makes me wonder whether or not the pieces of cardboard I purchase are destined to fade into obscurity like Kenner Starting Lineups, Beanie Babies, & Pogs. 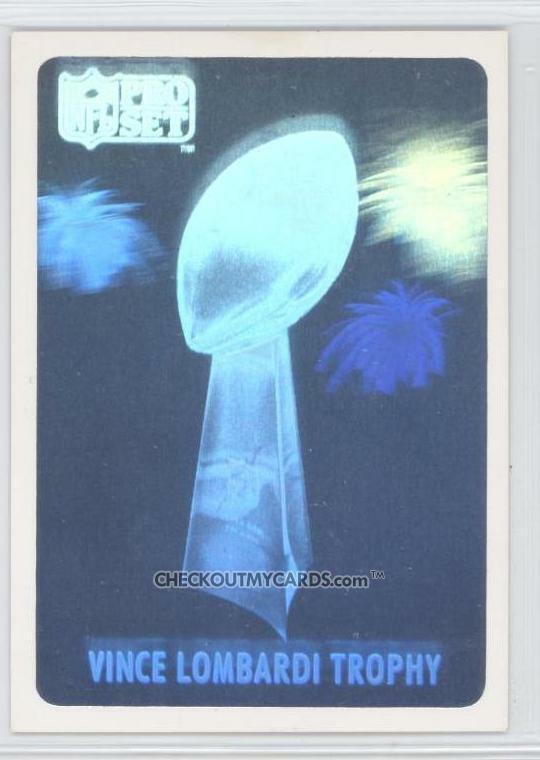 Well at least the Lombardi Trophy hologram still commands big money. What do you think the future holds for this hobby? Is collecting cardboard a dying hobby? Regardless if the cardboard future is "dark" or "bright"... I'm in it for the long haul. I've definitely cut back in spending since my collecting days of yore. But that doesn't mean that these pieces of cardboard with pictures of grown men on them aren't a huge part of my "happy place". Have a great day... and sayonara! So... I understand that some of you might feel that I'm focusing too much on "value"... and not enough about the pieces of cardboard themselves & the joy they bring to all of us. Well.. I wholeheartedly assure you that this isn't the case. It's been years since I purchased cards for the sake of "investment". But at the same time... this particular collector isn't independently wealthy. I'm living on a teacher's salary... and can't afford to just throw away money. Maybe I need to look at it as I'm "investing" in my "happiness"? 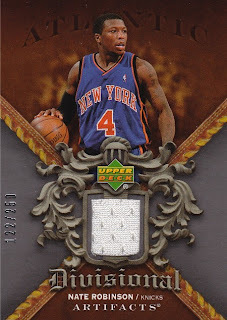 By the way... if you can believe it... this post was originally part of my Cheap Cool Cards series. That's what happens when you suffer from ADD. 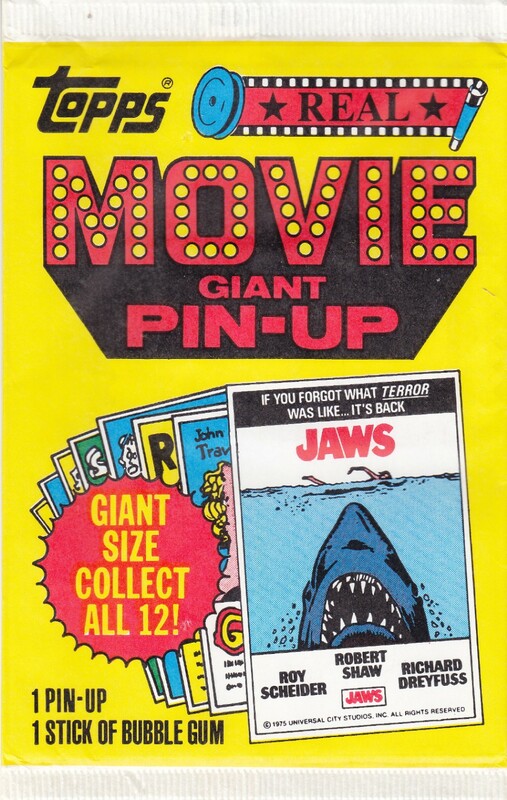 In 1981, Topps released a movie mini poster set, which contained 12 different movie posters that were distributed in packs. 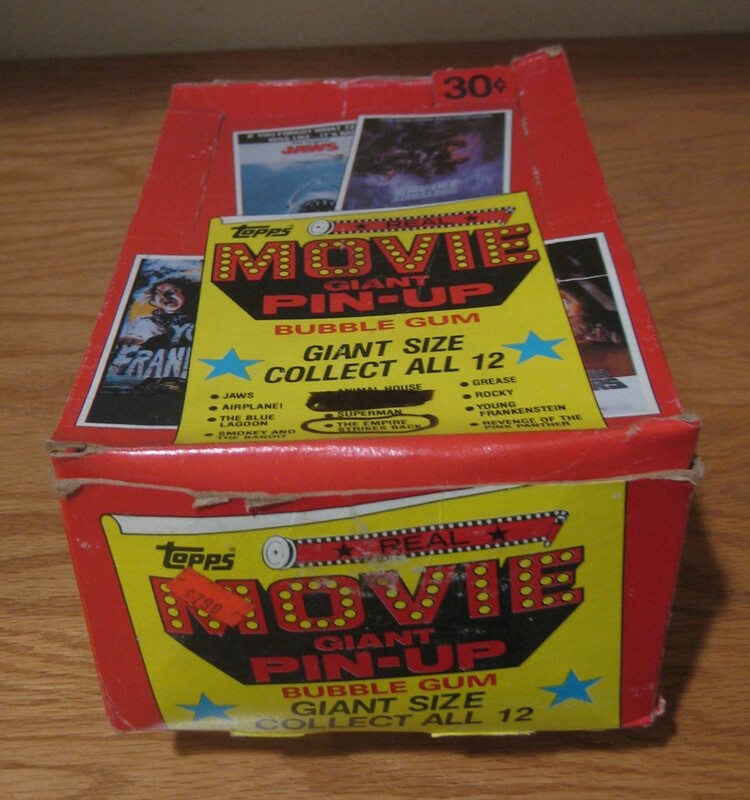 There were 36 packs in a box and each pack contained one 12"x20" poster. As soon as I saw that Star Wars and The Empire Strikes Back were part of this set, I knew I wanted them. So a few months ago, I found a guy who was selling Star Wars posters for $4/each, so I purchased two. After shipping & handling, I ended up paying $10 for the pair. At the time... 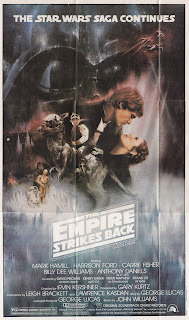 I couldn't find any ESB posters at a reasonable price, so I decided to be patient. Then earlier this month, I found a guy selling a complete box with 36 unopened packs on eBay. After a small bidding war, I ended up winning with a final bid of $20.50 (+ $23.50 shipping). Nope that's not a typo... the seller is in Canada. In addition to the box, he threw in eleven of the twelve posters in the set. Can you guess what the missing poster was? Yep... Star Wars. He mentioned that he was missing Smokey & the Bandit, but that wasn't the case. 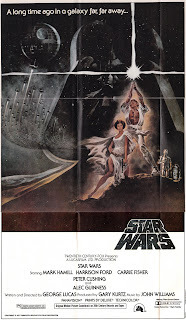 Plus... as luck would have it... he threw in an extra ESB poster. Not exactly sure what I'll do with the box. For now... it's sitting in a box in my garage. The set is a keeper... just trying to figure out how I want to store them. 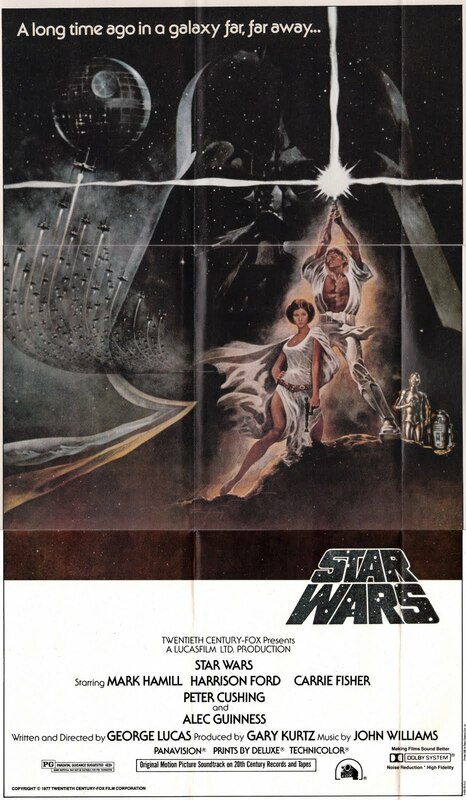 And the two extra posters will either be hung up in my classroom or be given to my nephew who's a huge Star Wars fan. 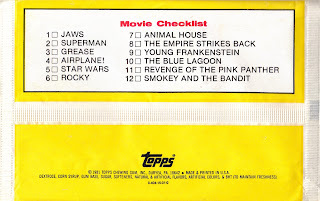 Out of the 12 movies on this checklist, which is your favorite and which is your least favorite? 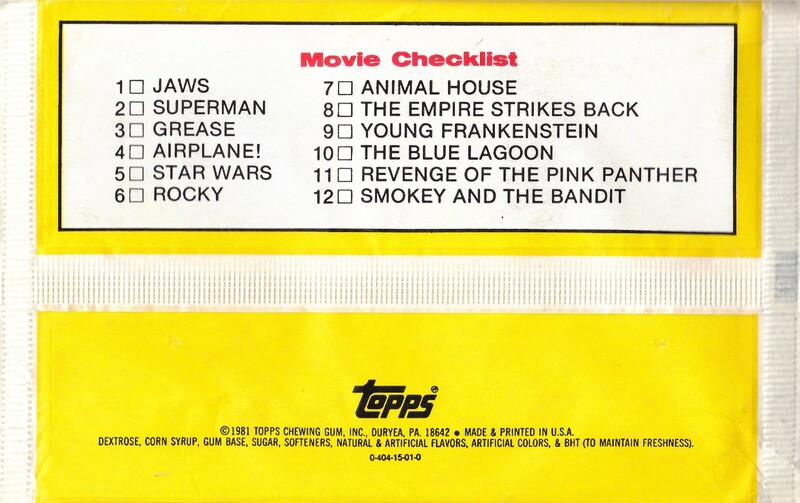 The Empire Strikes Back is easily my favorite... and out of all of the movies on the checklist that I've seen... I'd say The Blue Lagoon is the only one I'd never watch again. I've never watched Young Frankenstein or Revenge of the Pink Panther, but I'd give them a shot before watching some guy with a blonde afro hitting on Brooke Shields again. Enjoy the rest of your week... and sayonara! If you're interested in learning more about this product... I found a post over at A Pack A Day from three years ago. Pretty cool read. Long snappers, punters, & placekickers... oh my! I'm not sure about you... but in terms of collecting football cards these three positions get the least amount of hobby love from this collector. I felt the need to show Billy Cundiff & his fellow placekicker peers... that I care. So today's post is dedicated to them. 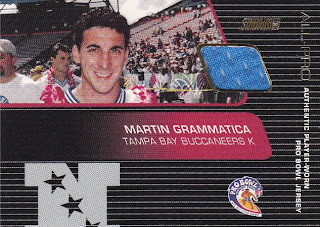 Okay... so Gramatica isn't exactly a star. But he did lead the league in field goals made back in 2002... the same year he helped the Tampa Bay Buccaneers beat the Oakland Raiders in Super Bowl XXXVII. Plus... he played in one Pro Bowl. In fact... this is the only jersey card out there for Gramatica collectors. 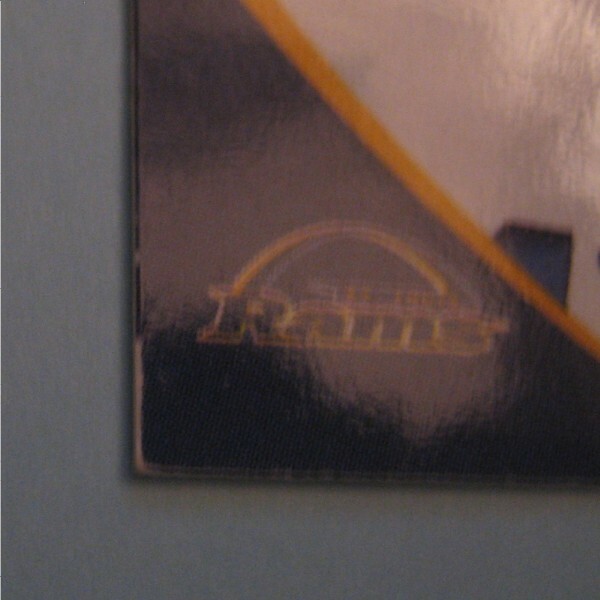 He has one other memorabilia card, but it contains a piece of a goal post... not a jersey. Who's your favorite placekicker of all-time? Damn... this is a tough question. My first instinct was to go with Norm Johnson... Seattle's placekicker for most of the 80's... and their all-time leading scorer. But then I remembered Joe Nedney. Nedney is a local guy, who is one year younger than me. He attended Santa Teresa High School, which was my high school's rival at the time. Later he attended SJSU, where he set their all-time scoring record. A few years ago, I stopped buying cards in hopes of turning a profit. The fact is... I'll never recover half of the money I've spent on cardboard since I was a kid. Which is why I try my best not to think about "making money" when I buy cards. But... that doesn't mean I don't get excited about a bargain every now and then. 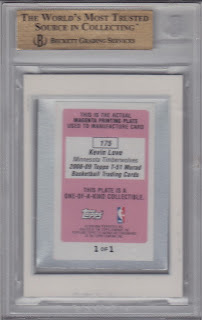 I totally forgot that I purchased that card, after watching that highlight, I started to wonder if I owned any nice cards of Kevin Love. 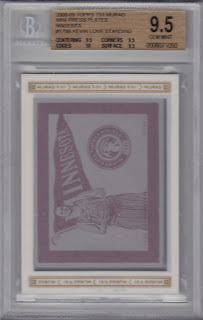 Then I remembered I purchased this graded printing plate. Hopefully, he'll continue to produce and have a solid career. Then I'll be able to turnaround, sell this card, and possibly retire a few years earlier. Just kidding! Now it's time for your feedback. Obviously, I haven't been keeping up with the NBA this season, so I'm interested in hearing your take on Mr. Love. As a player, is he a minor star, semi star, star, or super star? Legit or one year wonder? Okay... I'm starving. Time to grab some dinner. Happy Saturday everyone. Sayonara! 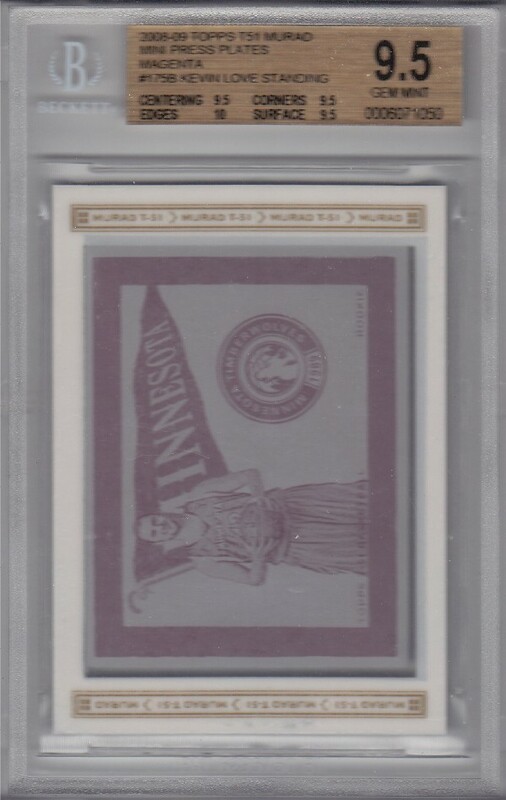 By the way... if you're interested in reading more about this purchase... it was documented in G_moses' blog... Basketball (and Hockey) Card Blog a couple of years ago (especially in the comments section). Want to hang out with fellow collectors and win free cards? Then head over to Card Collectors World Forum and create an account. 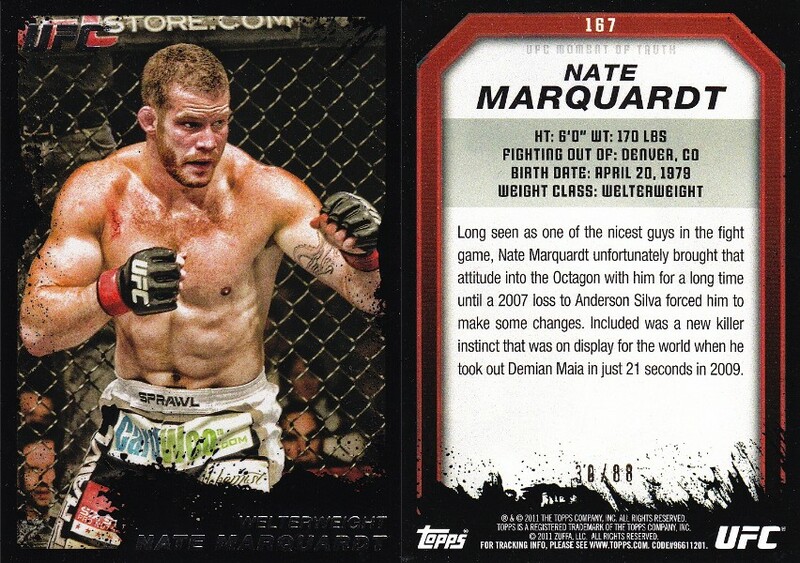 I recently entered one of their contests and won a bunch of UFC cards. All I had to do was comment on their 2011 Topps UFC Moment of Truth card review and post my favorite MMA fighter. Thanks CCW for your generosity. 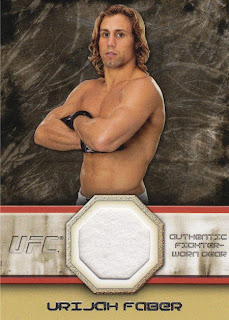 The Faber has already been added to my MMA PC. Have a great weekend and sayonara!